Dika, meaning direction in Konkani, speaks of the trials and tribulations of a lower middle class farming family. 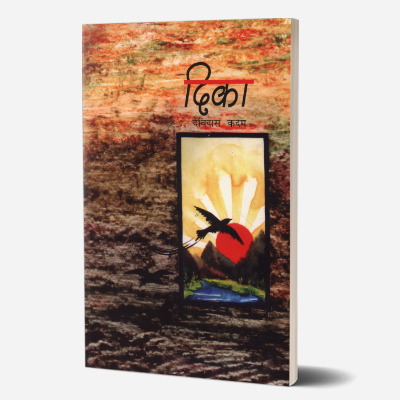 Set in the region bordering the North Kanara district of Karnataka, the novel vividly depicts the socio-cultural life of the area’s inhabitants. The story traces the life of Deepak and his family as they find their life in the city disordered and disrupted by the sudden demise of his policeman father. Deepak, his mother, and his three sisters are forced to shift to their village and adjust to a new way of living. The family faces a series of problems, such as troublesome villagers, scheming family members, and blind faith. When Deepak’s sister falls in love with a Muslim boy, Deepak is forced to confront societal norms when he has to convince his own mother for the wedding. Deepak leads his family to a free new existence, unshackled by the path laid for them by society. This is best visible in the end of the novel, when Deepak smiles looking at the one crow who chooses to move eastward away from his fellow crows in a new dika. 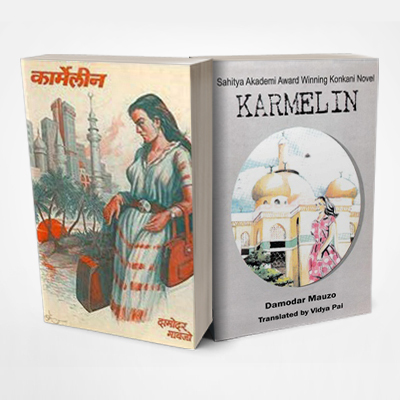 Kadam has tactfully employed local idiomatic language and illustrations of the local customs, traditions, and folklore to create a natural ambience for his readers. 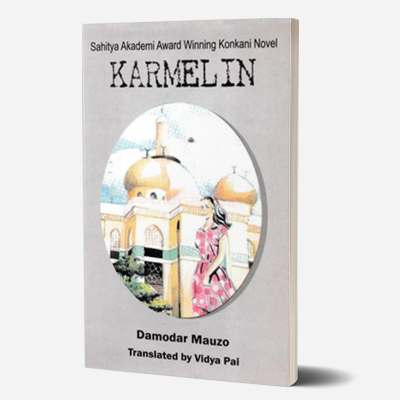 He believes that Konkani is not only his mother tongue but is also his ‘aatma bhasha’; thus, writing the novel in Konkani has facilitated the free-flowing, pure descriptions that his readers are captivated by. Dika won the prestigious Sahitya Akademi Award for Konkani literature in 2007. The novel is yet to be translated to English. The Sahitya Akademi has commissioned a translation of the novel to Kannada. However, this translation has not been printed yet. Devidas R Kadam, teacher by profession and renowned Konkani writer, has authored a wider range of literature – from novels and dramas to short stories and children’s literature. He also writes in Marathi and English. His famous works include Dika, Kandalam, Ganthaval, and Kohain. They have been much lauded by Konkani readers. He has won several awards, such as those by the Konkani Bhasha Mandal Goa and the T.M.A. Pai Foundation. Dika won the prestigious Sahitya Akademi Award for Konkani literature in 2007. Kadam is also associated with art and literature organisations. His works are regularly broadcasted on the All India Radio and he is a regular writer in periodicals and newspapers.